Trend following is unique among style premia in that it has historically exhibited a convex payoff profile with positive skew. While the historical premium is anomalous, the convexity makes sense when we use options to replicate trend following strategies. We explore reasons why frequent rebalancing in trend following strategies is necessary and decompose the return contributions from different portions of the option replication model. Most of the historical premium associated with trend following comes from the trading impact that is tied to the asset’s Sharpe ratio rather than the convexity. By separating the impacts of convexity and trading impact, we can gain a deeper understanding of the types of risk exchanges that come with investing using trend following strategies. Unlike many of the other style premia, trend following has historically exhibited a convex payoff profile with positive skew. In less mathematical terms, that means it tends to harvest many small losses (due to reversals) and just a few large gains (when trends take off). This is unique, as most risk and style premia exhibit the opposite: concave payoffs with negative skew. To simplify, we can think of concave, negative-skew trades as akin to selling insurance, while convex, positive-skew trades are akin to buying it. With respect to traditional financial literature, the mental model of selling insurance makes quite a bit of sense, as we can think of expected excess returns as being the reward earned for being willing to bear the risk others wish to transfer away. Unfortunately, a discussion of why trend following works often conflates the convexity of the strategy with the oddness of the historically positive premium. The latter is, for sure, anomalous. But what we hope to show in this commentary is that the former is just a byproduct of the trading strategy itself and does not require any investor misbehavior. How will we do this? Whenever we talk about buying or selling insurance, a very natural language to use is that of put and call options. Thus, our goal in this commentary is to approach trend following through the lens of options and demonstrate that simple trend-following strategies can be thought of as naively replicating the pay-off of a straddle. In doing so, our goal is to differentiate between two key elements of trend following: the convexity of returns it exhibits and the historically positive premium it has generated. Please note, for all the option geeks out there, that this will be a highly simplified interpretation with lots of hand-waving. For example, we will generally assume that interest rates are zero, dividends do not exist, that price is continuous (i.e. no jumps) and there are no trading frictions. None of this is true, of course, but we do not think it meaningfully takes away from the intuition established. A foundational principle in financial engineering is the Law of One Price, which states that any two securities with identical future payouts, no matter how the future turns out, must have an identical price. Otherwise, we could construct an arbitrage. Thus, to price an option, we only need to replicate its payoff. This is, of course, easier said than done, as options have non-linear payoffs. A call option, for example, pays nothing when price is below the strike at maturity and pays the difference between price and the strike otherwise. Given access to a risk-free bond and the underlying stock, we cannot easily replicate this payoff with some sort of static portfolio. We can, however, attempt to replicate it using a dynamic trading strategy that adjusts our mixture of the stock and bond over time. Consider the following example: a stock is priced at $80 and will be worth either $100 or $60 in one year. We have a call option with a strike of $90. This means if the stock ends up at $100, the payoff will be $10 while if the stock ends up at $60, the payoff will be zero. Here, Δ is the number of shares of stock to buy, B is how much to borrow, and r is the risk-free rate. Given r, we can solve the equations for the replicating portfolio. If we assume r=0%, we find that Δ=0.25 and therefore B=$15. Thus, to replicate the call option, we need to borrow $15 and buy 0.25 shares at $80, for a total cost of $5. Since this portfolio replicates the option payout exactly, this must also be the price of the option! Of course, these are highly simplified assumptions. But if we collapse the time period down from 1-year to an infinitesimally small unit of time, we can repeat this exercise over and over such that we have a dynamic trading strategy that will replicate the option’s final payoff, and therefore the option’s value over time. Let us now connect trend following to options. Consider the following case where the underlying stock price follows a binomial tree and we want to replicate the payoff of a call option with a strike of $80. Again, to simplify things, we will just assume that our risk-free rate is 0%. Again, solving simultaneously, we find that we need to buy 1 share (at $90) and therefore B=$80. The option, therefore, is equal to $10. In this case, we find that the number of shares is equal to zero and therefore B=$0. Here we find that the number of shares is equal to 0.5 and B is equal to $35, making the option therefore worth $5. The number of shares required by the replicating portfolio also changed based upon changes in the underlying stock price. In option’s parlance, this is known as an option’s “gamma.” This measures how the options delta changes with changes in the stock price. Note that as the stock price increased, the number of shares required to replicate the option increased. This implies that a call option has positive gamma. If we repeated this whole exercise but used a put option instead, we would similarly find that a put option has positive gamma: the more price depreciates below the strike, the more shares we need to short to replicate. Which means that these options can be roughly replicated using a very naïve trend-following strategy. If we buy a put and a call at the same strike and same maturity, we have constructed a trade known as a “straddle”. We plot an example straddle payoff profile below. Since a long straddle is simply the combination of a put and a call, we can replicate its payoff by just replicating both positions independently and summing up our total exposure. It should come as no surprise that the replication of this straddle is, in essence, a trend following strategy. As the underlying stock price increases, we buy shares, and as underlying stock price decreases, we sell shares. The convexity of trend following may have nothing to do with any sort of market “anomaly,” but rather is a function of the trading strategy employed. Purchasers of a straddle will realize the payoff minus the up-front cost of the options, which will be a function of implied volatility. The replicating trend-following strategy will realize the same payoff minus the trading costs, which will be a path-dependent function of returns (and, therefore, realized volatility). For a more nuanced dive into deriving this relationship, we recommend the paper “Tail protection for long investors: Trend convexity at work” by Dao, Nguyen, Deremble, Lempérière, Bouchaud, and Potters (2016). 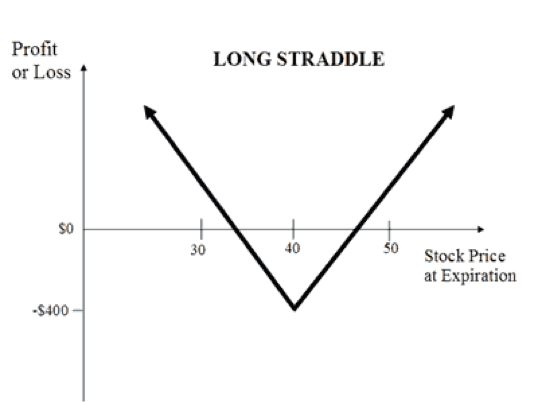 While we have demonstrated that a straddle can replicated with a (continuous) trend-following strategy, it is not the traditional trend-following archetype by any means. Furthermore, trend-following strategies are continuous in nature, while straddles have a defined expiration date. So, let us consider a more realistic (albeit, still a toy) trend-following implementation. We will go long the S&P 500 when its prior 12-month return is positive and short when it is negative. We will rebalance the strategy at the end of each month. For simplicity, we will assume any available capital is invested in risk-free bonds that return 0%. How might we translate this strategy into a semi-equivalent straddle replication? One interpretation may be that at the end of each month, we use the price from 12 months ago to set the strike of our straddle. To compute the delta, we will lean on the Black-Scholes equation, where we will assume that the time until expiration is one month, we’ll assume no dividend payment, and we’ll use prior short-term realized volatility as our input for implied volatility.1 Since the delta will vary between -1 and 1, we will use it as our allocation to the S&P 500, investing remaining capital in risk-free bonds that return 0%. It is important to note that in the prior section, the simplified trend following strategy replicated the straddle payoff because we were able to delta hedge over infinitesimally small time horizons at zero cost. Here, we are rebalancing monthly, applying a much more static mode of replication. Below we plot the growth of $1 in each strategy. The correlation in monthly log-returns between the two strategies is 95.8%. Source: CSI Data. Calculations by Newfound Research. Returns are backtested and hypothetical. Returns assume the reinvestment of all distributions. Returns are gross of all fees except for underlying ETF expense ratios. None of the strategies shown reflect any portfolio managed by Newfound Research and were constructed solely for demonstration purposes within this commentary. You cannot invest in an index. We can see that a trend following strategy looks incredibly similar to a strategy that replicates a straddle. Why? Let’s look at the trend response function versus delta. Note that the x-axis is measured in standard deviations from the strike. This is important. A 10% move in one asset class may be highly significant while a 10% move in another may not. Furthermore, a 10% move in one market environment may be significant while a 10% move in another may not. The delta function captures this as implied volatility is an input to the measure, while the trend signal does not. We can see that the binary trend signal and the straddle delta are nearly identical when price is greater than 0.6 standard deviations from the strike in either direction. In this model, this can be interpreted as a strong trend where the trend strategy allocation and delta straddle allocation will coincide. Within that range, however, we can see that the trend signal over-estimates the delta. Therefore, in cases where price continues away from the strike, the binary signal will out-perform and in cases where price reverts back towards the strike, the binary signal will under-perform. We can see that the trend signal and the straddle delta only meet when price is 1.2 standard deviations from strike. The delta is taking into account how long there is until expiration and therefore adjusting itself downward in magnitude in acknowledgement that price might revert back towards the strike. The binary signal does not. So, is the answer just to rebalance as frequently as possible? 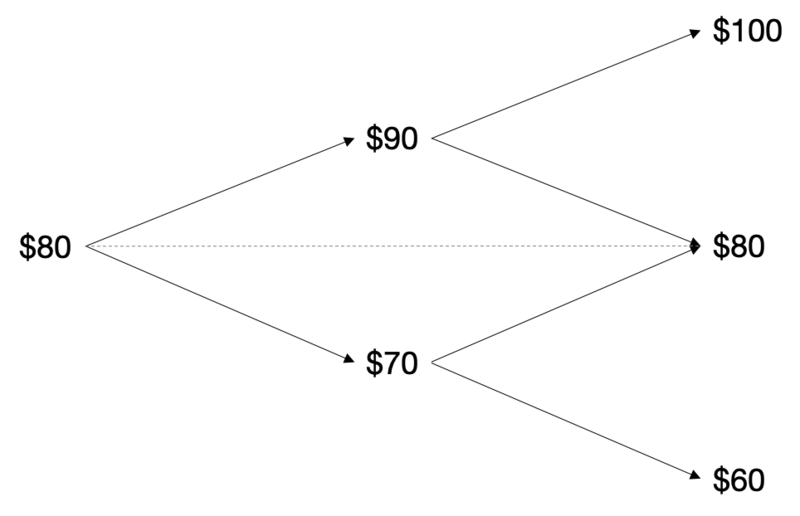 After all, as the ratio of the rebalance period to the lookback period goes to zero, the shape of the delta function approaches the binary trend signal. Conversely, as the ratio goes to infinity (i.e. the holding period length far exceeds the lookback), the shape of the delta function approaches y=0 at all points. But if we just statically replicate the remaining time until option expiration, doesn’t that remove the entire long gamma aspect? Have we not lost the convexity created by the trading strategy? In an attempt to answer this question, we can ask a slightly different one: “how different is the change in delta from rolling into the new straddle versus replicating the original straddle?” We derive the math in the appendix, but under some general assumptions we can say that the deltas will converge when the ratio of the rebalance time-step and the time until option expiration goes to zero. As this ratio becomes smaller, therefore, the delta change from rolling into the new straddles will approximate the delta change of replicating the prior straddle, and thus conserve the replicating strategy’s natural convexity. There are two important drivers for this limit here: we want dt to be as small as possible and T-t to be as large as possible. Unfortunately, this implies that we are delta hedging over an infinitesimally small time period at the beginning of the life of the straddle, a time at which the delta is approximately zero because it is struck at-the-money! On the other hand, if we go towards expiration, T-t goes to zero! The dilemma at hand, then, is for a simple binary long/short trend strategy to reflect the delta of a straddle, it needs to be close to expiration when the delta function looks more like a step change. However, for the changes in delta from rolling the straddle position to reflect changes in delta from replication, the roll must occur near inception! Using this information, we can attempt to get a rough approximation of how much a binary trend strategy’s return comes from: (1) the replication of a straddle, (2) excess delta exposure from rolling straddle exposure, and (3) excess delta exposure from using a binary signal. Calculate the delta of a 24-month straddle with 12-months left until expiration. This allows the straddle to reflect the same strike price as the rolling and binary trend signals, but with enough life until expiration that dt/(T-t) is small enough that the delta may closely reflect the delta from replication. Calculate the delta of a 13-month straddle with 1-month until expiration. Calculate the difference in delta exposure from this step to the last and label this the excess delta from taking a rolling approach. Finally, calculate the binary trend signal and calculate the difference in exposure versus the rolling approach. This will reflect the excess exposure from our binary approximation. Below we plot the total return from each of these three series. While we can see that replication has had a meaningful positive return, we can also see that the rolling model has a non-insignificant positive impact on returns. The trend model, despite being a net contributor through 2012, was more-or-less insignificant over the full period. However, there is a bit of a head-scratcher here worth discussing: why would we expect the replication of a straddle to have a positive return? Positive convexity, sure. But a positive return? Bruder and Gaussel (2011)2 suggest that any single-asset trading strategy can be broken down into two component pieces: an option profile and trading impact. A simple constant stop-loss level, for example, can be thought of as a perpetual call option payoff with trading costs that alter exposure between long and flat, creating frictions due to non-continuous prices and delays in rebalancing. 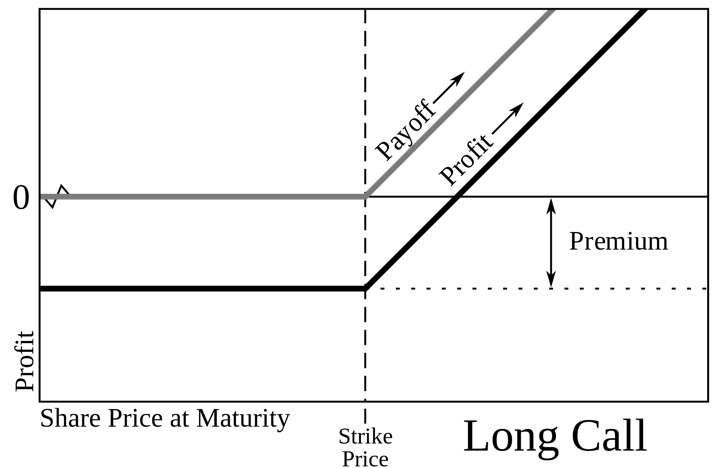 For trend-following strategies, they suggest a framework whereby the trend is measured as an exponential moving average of daily returns and exposure is proportional to this measured trend, the asset’s variance, and the investor’s risk tolerance (a suggestion that is theoretically consistent with an optimal Markowitz/Merton strategy). Following this model, we can extract the option payoff (G) and trading impact (g) of a trend following S&P 500 strategy. What is clear from this analysis is that trend following strategies have two different components driving returns. The first is the underlying option payoff. In the Bruder and Gaussell (2011) model, the option is similar to a straddle struck on the trend of the underlying asset. We can see in the graph above that this component has a short memory and provides much of the convexity often associated with trend-following returns. We can see that the long-term driver of returns in trend-following strategies, then, is not the convexity, but rather the trading impact. Given that trend following has positive gamma, we would expect the trading impact to be positive for returns that exhibit autocorrelation (i.e. trending returns). Interestingly, Jusselin, Malongo, Roncalli, Lezmi, Masselin, and Dao (2017) demonstrate that autocorrelation may not even be a necessary component for positive returns; rather, for this particular trend following model, the trading impact will have positive profit or loss based upon the underlying asset’s Sharpe ratio. It is worth acknowledging that this analysis is based upon a particular exposure model that is driven by the underlying asset’s realized trend, volatility, and the investor’s risk tolerance. Thus, the delta-based model and binary signal model explored in prior sections will not match as neatly. Nevertheless, it serves as further evidence for trend following’s inherent return convexity with respect to the underlying asset. Trend following is unique among style premia in that it has historically exhibited a convex payoff profile with positive skew. By replicating example trend following strategies using straddle options, we demonstrated how convexity is inherent to trend following strategies outside of any historical premium. While the historical premium is anomalous, the convexity makes sense. By replicating the payoff of a rolling straddle strategy, we saw potential reasons why frequent rebalancing in trend following strategies is necessary and were able to decompose the return contributions of the replication, the rolling model, and a binary trend following approach under more realistic assumptions. In the simplified model we found that most of the historical premium associated with trend following comes from the trading impact that is tied to the asset’s Sharpe ratio. A key step in sticking with any trading strategy is an understanding of why it may work in the future. A good historical backtest is nice to see, but there has to be a reason – be it behavioral, economic, or structural – for the backtest to have any reliability. Using options to isolate the return sources in trend following strategies is a way to separate the impacts of convexity and trading impact while gaining a deeper understanding the types of risk exchanges that come with investing using trend following strategies. This could be made more accurate by incorporating a more accurate estimate of the risk-free rate, dividend yield, and implied volatility. However, for our purposes, a toy approximation remains useful.